Join this 1-hour hands-on experience and explore the fascinating world of Noh, the time-honored Japanese theatrical art inscribed as a UNESCO intangible cultural heritage. 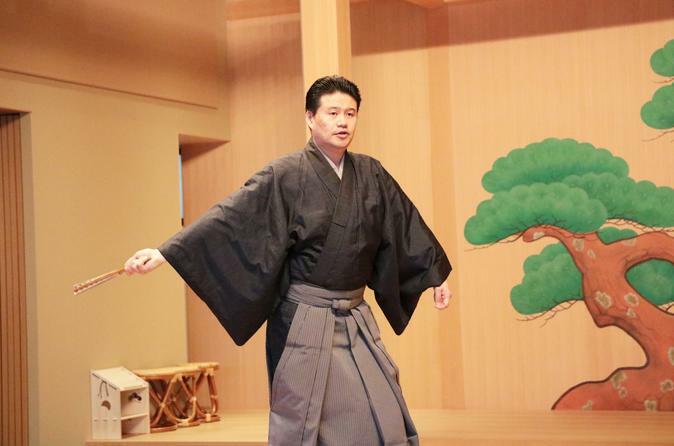 Learn the basic techniques of singing and dancing from a professional Noh performer and try your hand at Noh acting while wearing a traditional costume and mask. As the goal of this experience is to familiarize you with Noh in a fun, relaxed atmosphere, it makes a perfect first step into the rich world of Noh. Deepen your understanding of Noh and make your next Noh viewing an even more enjoyable one. 7. Your experience comes to an end.